My daughters are an endless source of inspiration. I wrote this column published in today’s edition of The Grand Rapids Press after witnessing one of their recent backseat conversations in my review mirror. We were on the way home from school and I was very pleased to see my oldest applying the day’s lesson to “fill a bucket” for someone in her life. I was even more pleased to see that the bucket she chose to fill was her little sister’s. 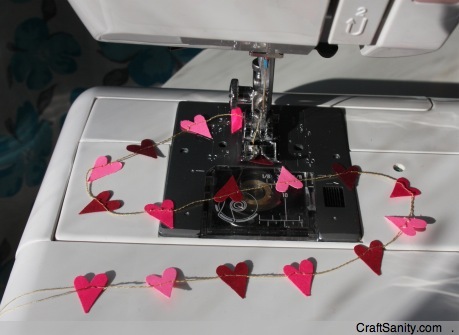 I will be doing a TV segment with a handmade Valentine theme on WZZM Channel 13’s “Take Five” morning show on Tuesday. There’s still time to add some more projects to the mix, so tell me all about your favorite handmade gift ideas. And, yes, I will credit all my sources. Have a good one. I’m off to test some patterns and edit a podcast. Hello there, You have done a great job. I will definitely digg it and in my view suggest to my friends. I am sure they’ll be benefited from this site. Oh my goodness! an amazing write-up dude. Thank you Having said that I’m experiencing issue with ur rss . Do not know why Unable to subscribe to it. Is there any one getting identical rss issue? Any one who knows kindly respond.